We are announcing ReviewPro participation in FITUR, the International Tourism Trade Fair, on January 18-22, 2012 in Madrid. We are located at Pavilion 10, Stand 10F14A. If you are going to attend FITUR this year, we would love to meet with you to show how ReviewPro is helping thousands of hotels around the world improve customer satisfaction and increase revenue. · Expanded Chain/ Brand Level Views to visualize all your data on an individual hotel, group and chain/brand level. · Online Reputation Goal Setting with performance tracking within ReviewPro for the industry benchmark Global Review Index™ and Department indexes. · New Review Tracking with advanced filters, workflow tools and automated translation to quickly gain relevant insight into quest comments from over 80 OTAs and review sites. 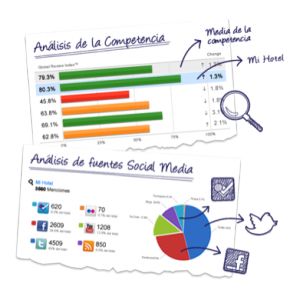 · A New Social Media Dashboard giving you more data than ever and an enhanced graphical overview and analytics about your hotel´s social media in Facebook, Foursquare, YouTube, blogs and more. Click here to schedule the meeting with us at FITUR 2012.